Today’s fab post is a guest post from Green Love founder and eco expert, Amy Merli. 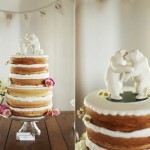 She’s shared with us her top 5 eco-friendly wedding tips! 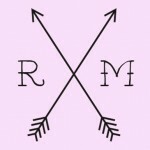 So if you care about the environment [don’t we all] and the carbon footprint of your wedding, take some very helpful green wedding advice from this post. 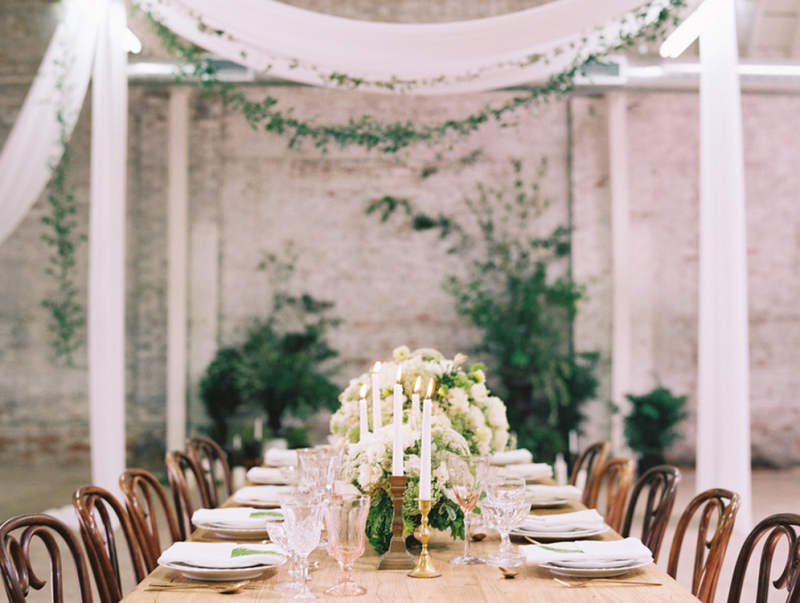 Having a green wedding can be the most elegant way to make a statement. The carbon footprint of any large event can be quite high. 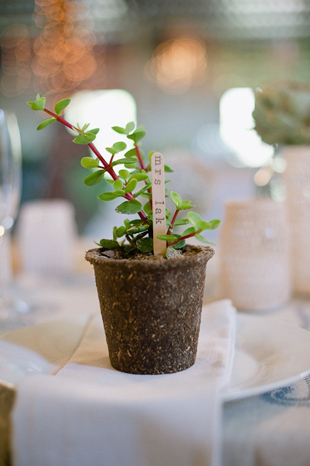 Here are a few tasteful ways to turn your dream wedding into a sustainable one. 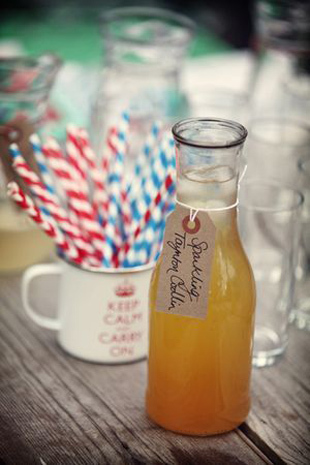 First, when choosing the invitations for your big day try picking ones that are more eco­friendly. 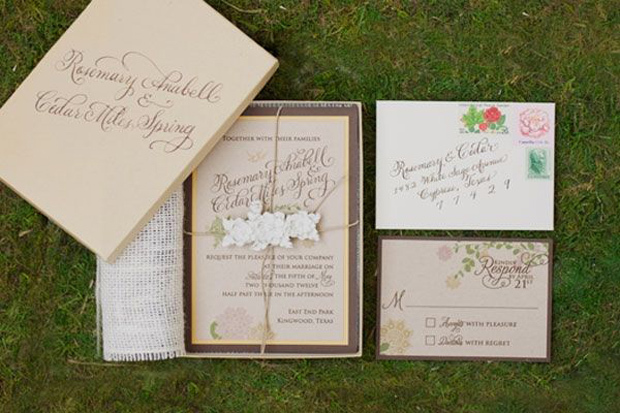 Using recycled paper, electronic invitations or choosing seed paper is a great alternative to typical wedding invitations. 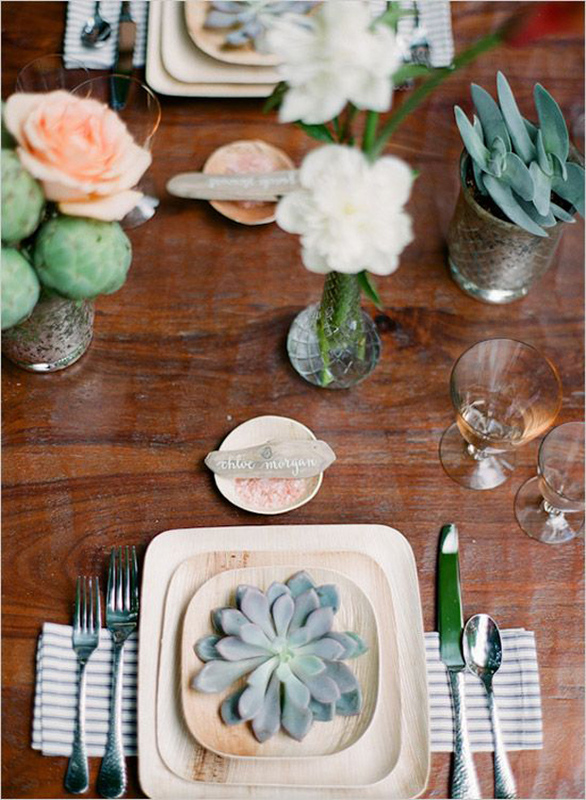 The decor of the event can be made green by using table­scapes that can double as gifts for wedding guests. 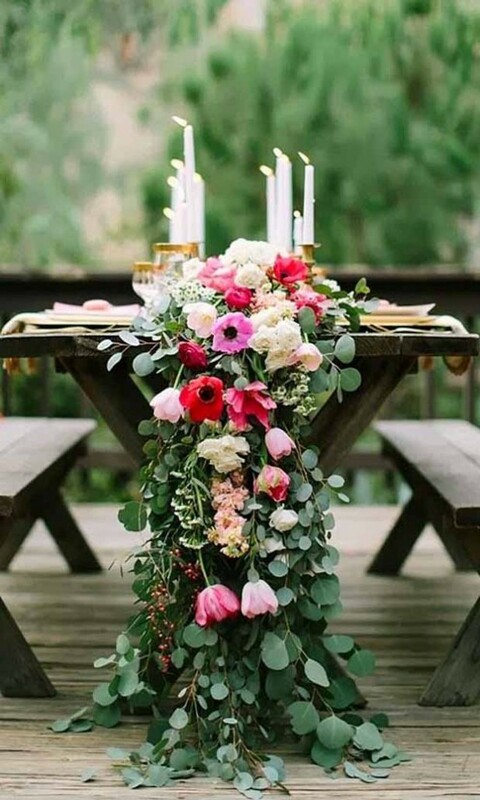 For example, a table filled with beautifully arranged potted plants will give the decor a second life, long after the wedding and makes a great gift too. 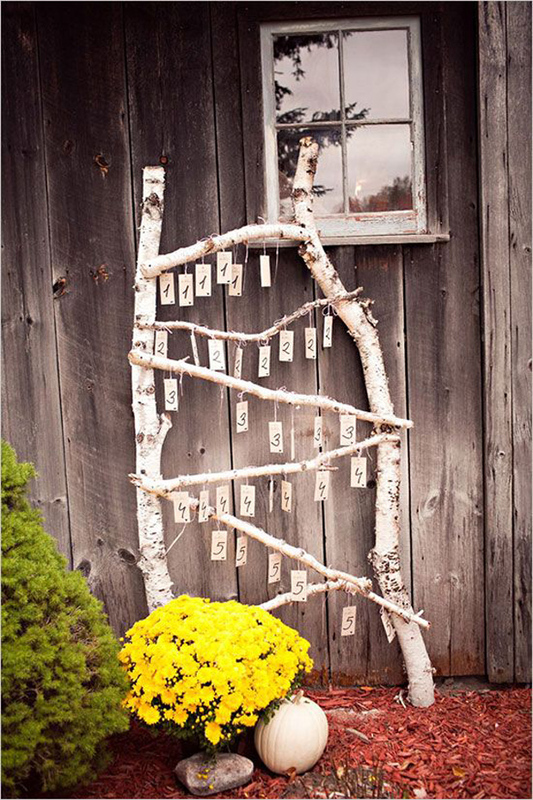 Decorations can also be created from natural materials like birch bark and driftwood. 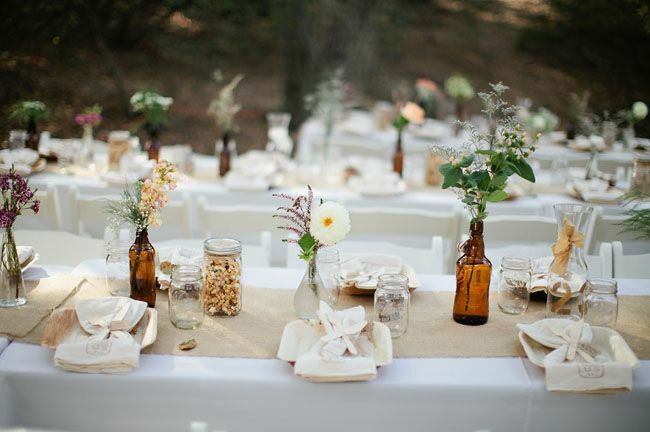 These natural materials can be easily repurposed after the wedding while not making too much of an impact on the environment. 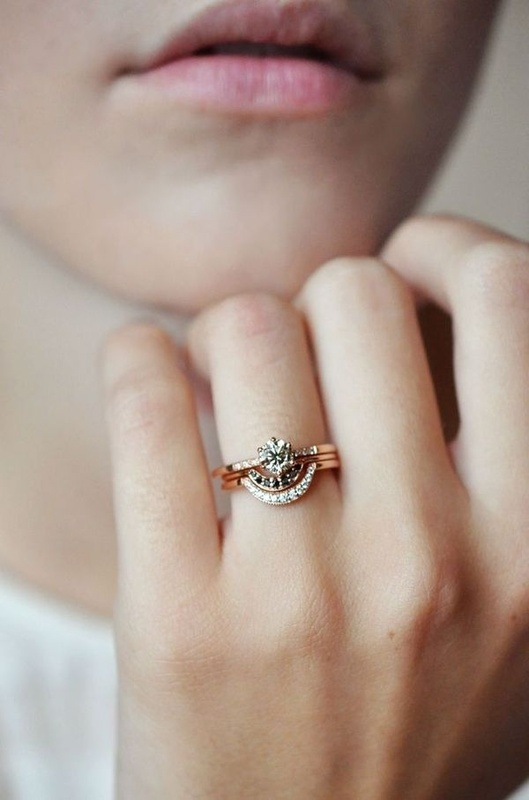 There are many options when it comes to styling the bridal party. 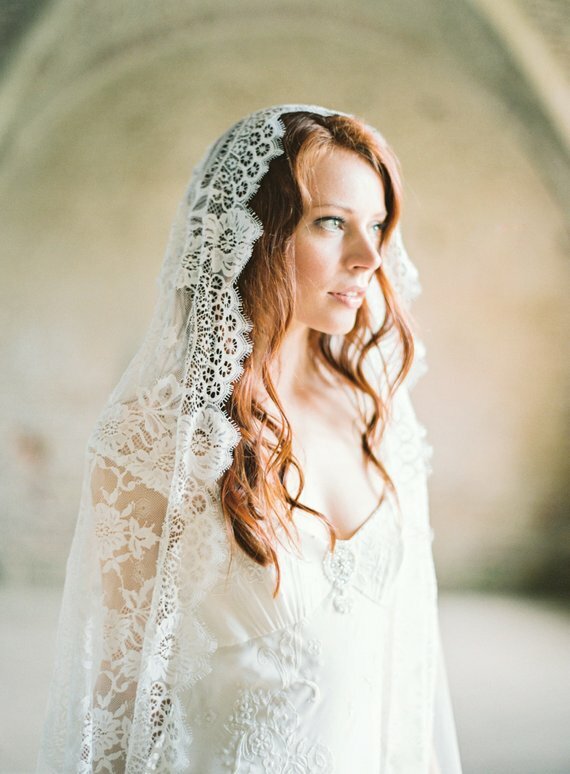 Some brides opt to style the wedding party in vintage clothing and others choose a new gown. 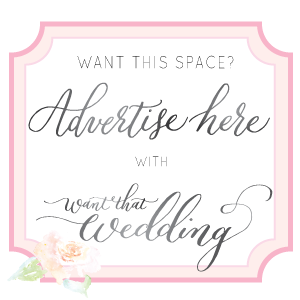 Both options can be uniquely chic and add to the beauty of your wedding day. By choosing the wedding party’s dresses from a store that sources its materials from a sustainable source makes a large environment statement. 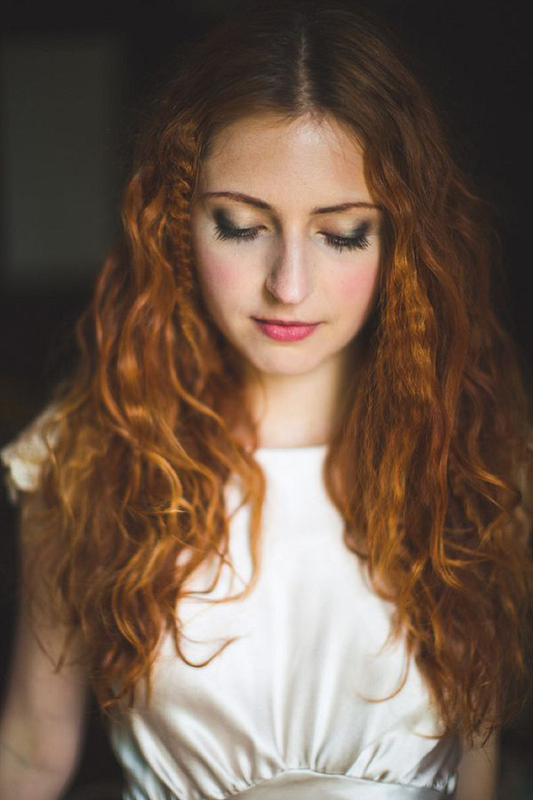 It can be nice to choose eco-­friendly makeup and hair products. This is a great way to cut down the number of chemicals in the body and in our water systems. 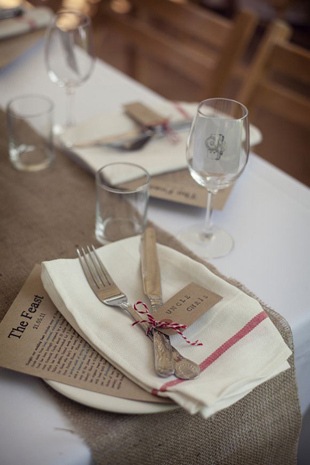 Food for the reception that is locally sourced is another great way to cut down on the carbon footprint of the wedding. Many local restaurants and caterers have the ability to work with local farms. Supporting local restaurants and caterers is great for the economy as well. Locally sourced and freshly prepared meals always tend to be tastier. It can be wonderful to donate the leftover food to local food banks. Finally, having well-marked bins for recycling and compost can limit the number of biodegradable materials in the landfill. 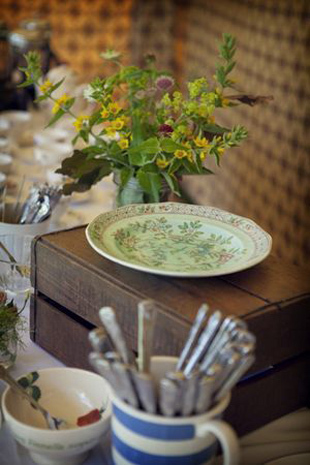 Having a green wedding can be classy and perfect. These eco suggestions can bring a deeper element of fondness for nature accompanied by a commitment of heartfelt love on your big day. 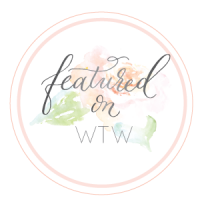 Thanks so much Amy for sharing your insight into how WTW readers can have a more eco-friendly and chic wedding day. Sanyukta Shrestha: Luxury Wedding Gown Sample Sale! Great post – hope you’re feeling better Sonia! 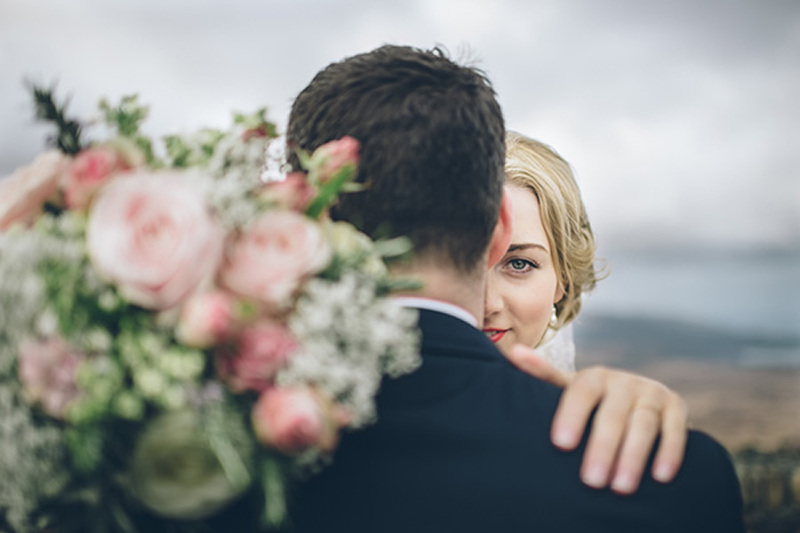 Another way towards an eco-friendly wedding is to keep it local and buy British flowers. Out of season, follow the growing trend for British dried flowers – perfect for country style and vintage weddings in particular. 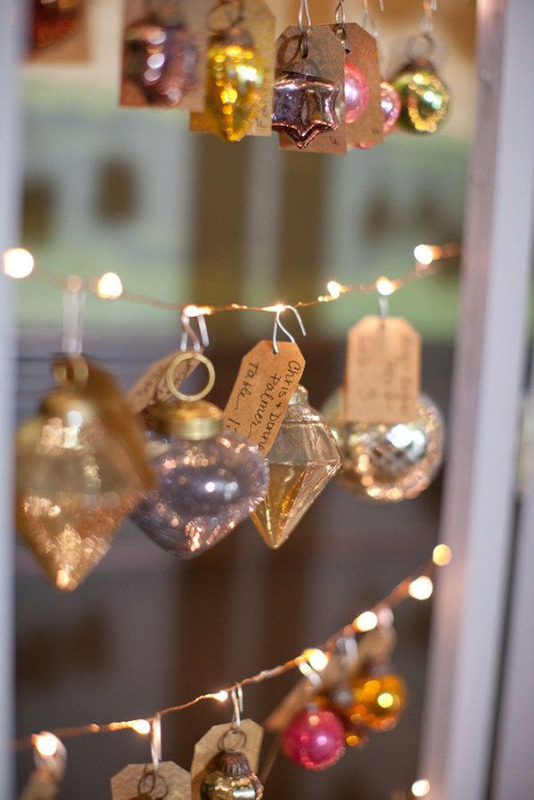 Using decor is a great idea as you have many options!